The four Pandava brothers, Bheem, Arjun, Nakul and Sahadev die while trying to fetch water from a lake. 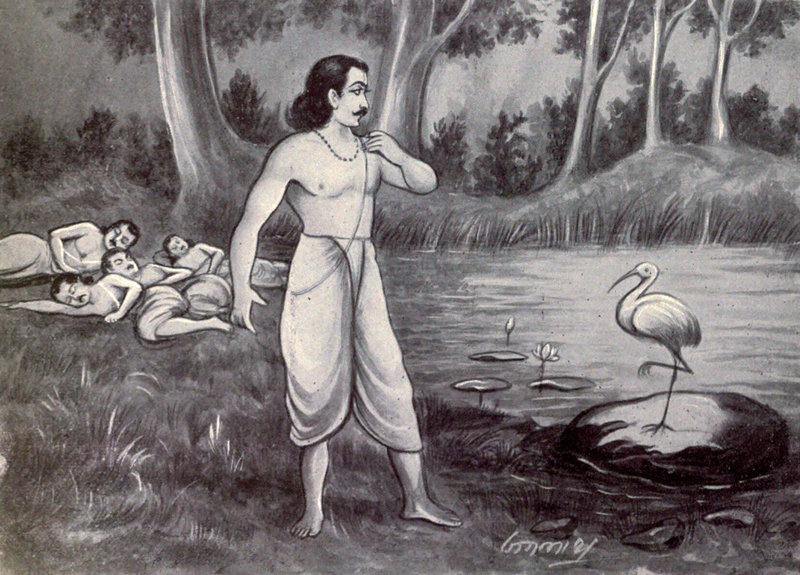 When Yudhistir finds the lake, he meets a mysterious crane who claims to have killed his brothers. The crane challenges Yudhistir to answer his questions. If Yudhistir can give him satisfactory answers, his brothers live. Else they all die. Was Yudhistir able to revive his brothers? Listen to this exciting new episode of the Stories of Mahabharata.